BOULDER, Colorado, January 18, 2015 (ENS) – Tropical forests have a bigger appetite for the greenhouse gas carbon dioxide than many scientists have believed – even greater than that of temperate forests, finds a new study led by NASA and the National Center for Atmospheric Research, NCAR. As human-caused emissions from burning fossil fuels add more carbon dioxide to the atmosphere, forests worldwide are using that CO2 to grow faster, reducing the amount of the greenhouse gas that stays airborne. This effect is called carbon dioxide fertilization. Forests and other land vegetation now remove up to 30 percent of human carbon dioxide emissions from the atmosphere by absorbing CO2 during photosynthesis. If the rate of absorption were to slow down, the rate of global warming would speed up, the authors say. “This is good news, because uptake in northern forests may already be slowing, while tropical forests may continue to take up carbon for many years,” said David Schimel of NASA’s Jet Propulsion Laboratory in Pasadena, California. Schimel is lead author of a paper on the new research, published in the journal “Proceedings of National Academy of Sciences” in December 2014. Tropical forests absorb 1.4 billion metric tons out of a total global absorption of 2.5 billion metric tons, the authors estimate. 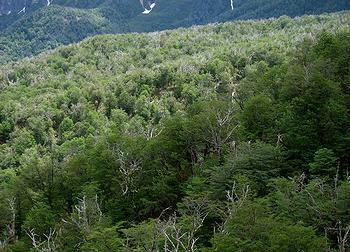 For about 25 years, most atmospheric inverse computer models have shown that mid-latitude forests in the Northern Hemisphere absorb more CO2 than tropical forests. Now the scientists on this study say that result was based on an outdated understanding of global air flows and on limited data suggesting that deforestation was causing tropical forests to release more carbon dioxide than they were absorbing. The new study is the first to make apples-to-apples comparisons of CO2 uptake estimates from many sources at different scales, such as computer models of ecosystem processes, atmospheric inverse models, satellite images and data from experimental forest plots, among other sources. The researchers reconciled these analyses and obtained their new estimate of the tropical carbon absorption from the weighted average of atmospheric, ecosystem model, and ground-based data. In the mid-2000s, Stephens used measurements of CO2 made from aircraft to show that many atmospheric inverse models were not correctly representing flows of carbon dioxide in the air above ground level. Models that matched the aircraft measurements better showed more carbon dioxide absorption in the tropical forests. 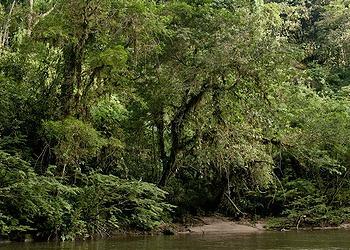 But there were still not enough global data sets to validate the idea of large tropical-forest absorption. Schimel said their new study takes advantage of a great deal of work other scientists have done since Stephens’ paper to pull together national and regional data of various kinds into robust, global data sets. He said the new paper reconciles results at every scale from the pores of a single leaf, where photosynthesis takes place, to the whole Earth, as air moves carbon dioxide around the globe. “What we’ve had up till this paper was a theory of carbon dioxide fertilization based on phenomena at the microscopic scale and observations at the global scale that appeared to contradict those phenomena,” said Schimel. Atmospheric models have improved over the past decade, but there is still disagreement among atmospheric inverse estimates of the distribution of carbon uptake, owing to remaining differences in modeling global air flows. The scientists must also take wildfires into account. Climate change decreases water availability in some regions and makes Earth warmer, leading to more frequent droughts and larger wildfires. In the tropics, humans compound the problem by burning wood during deforestation. Fires stop carbon absorption by killing trees and also emit huge amounts of carbon into the atmosphere as the wood burns. The research was funded by NASA and by the National Science Foundation, which sponsors NCAR.